If you want a pool that looks this good next summer, you need to take care of it before winter gets here. The temperature might be hitting 90-degrees again this weekend, but the calendar says winter is only a few months off. Unless you went ahead had a pool heater or heat pump installed it’s about time to start thinking of closing down your pool for the season. If this is your first season with a new pool and aren’t sure how to prep your pool water for winter, here are a few guidelines. About a week before you plan on closing your pool check the water chemistry. You want to make sure the water is balanced so you don’t end up with corrosion or scaling. Look for a pH level between 7.2-7.6 and total alkalinity between 100-150 parts per million. If your pool is lined with gunite the water chemistry will be slightly different, as it requires a total alkalinity right around 120 parts per million. Shock the pool a few days before closing and allow the chlorine level to drop back down to normal. Before you put the lid on it for the winter, give your pool one last good scrubbing. 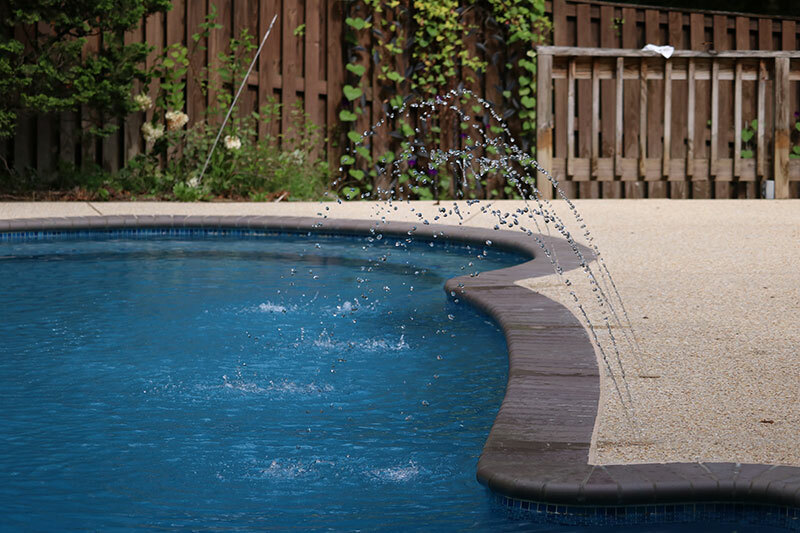 Make sure to hit the walls of your pool and the corners where dirt builds up and push the dirt towards the main drain. You’ll need to clean out your hair and lint trap after cleaning, but it’ll go a long way to keeping your pool and filtration system clean throughout the winter. Also, make sure to remove any ladders or anything else that sits in the water. While you aren’t emptying the pool, you do need to drain it some. Make sure to drain the pump, filter and heating system if you have one. Remove the skimmer baskets and drain the pool until the water level is just below the skimmer inlet. This entry was posted on Friday, September 9th, 2016 at 10:41 am. Both comments and pings are currently closed.